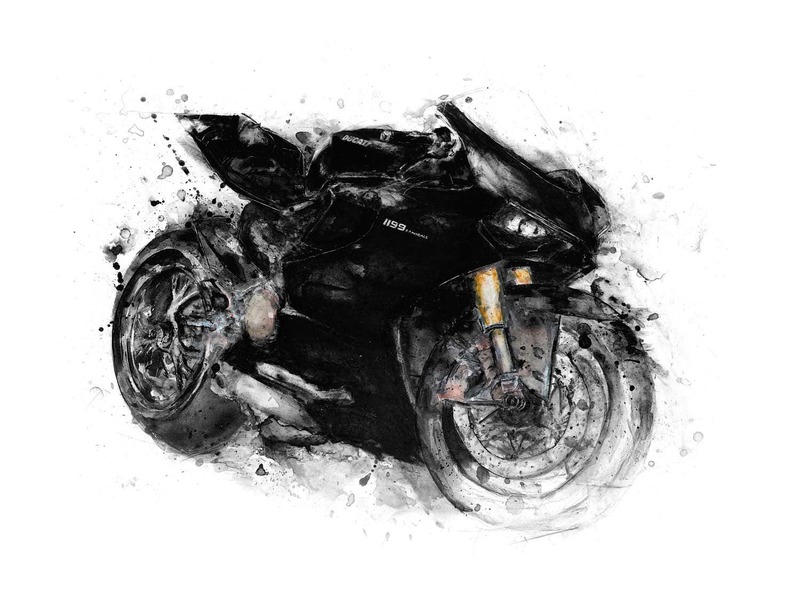 If that wasn't enough, Gianandrea Fabbro, who designed the Panigale, owns Dennis' artwork and sent signed artwork back to him in return. Each Giclee print is individually produced by the artist utilizing professional imaging technologies and methods. As a result of meticulous standards, the Giclee retains a beautiful painterly quality that preserves minute and subtle tints, blends and detail of the artist's original acrylic-on-canvas painting. The meticulous reproduction process and the use of archival pigments and museum-quality canvas produce a stunning piece that collectors and admirers often mistake for an original. Note: I have two variants for this print: the 1199 and the 1299 (both S models).